Marriage is not about two hearts tieing knots, it is also about accepting new relationships into our life. Especially for a bride, it is very challenging and life turning point to accept and understand the in-laws, family traditions and many more. 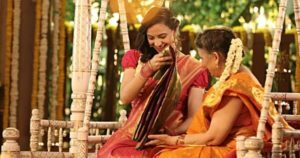 But, at most important there is one big relationship that is a bit hard to handle is the relationship between the daughter-in-law and mother-in-law. All girls will have a big dream about their new life with the new relationships in their mind. Like, she might have felt of getting a second mother to take care and love her. At times, there are situations for difference of opinion and understanding which might spoil the whole relationship. There are certain things at a daughter-in-law will not be able to open up with you (mother-in-law). 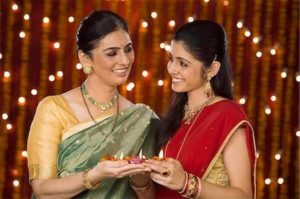 If you have a daughter-in-law or going to get one in some months, then it is best to know about some important things that she wants to tell you but unable to convey or day it to. 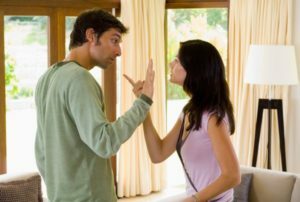 This article is all about, some of the things that your daughter-in-law wants to tell you but hides from you. 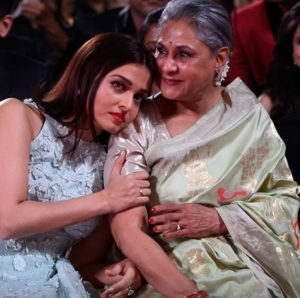 This will help you to maintain a good relationship with your mother-in-law. Don’t think that she does not know anything. Give time to listen to her points in the discussion. This will give her the comfort of sharing her thoughts with your confidently. Though the points do not work out, listen to it and make her understand the reality of the situation. She just feels happy and comfortable, that you value her opinions and respect her feelings. It’s her wedding, so let her choose the jewellery she wants. Never force her to wear gold jewellery for the wedding. 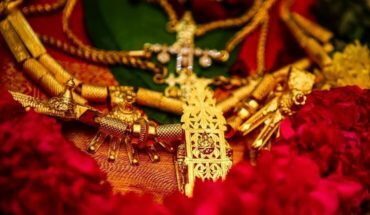 If she is fascinated by the latest designs in imitation jewellery and prefers to wear it for the wedding, then simply allow her to go on her wish. Wearing lehenga will no way going to degrade your family traditional values. It is just a new type of dressing style. Try to take things in a lighter way and upgrade to the latest trends. If she prefers to wear lehenga for reception then allow her to go with it. Lack of listening is cause for major problems so, try to open your ears to listen to her thoughts. If you respect her thoughts for 10 percent then she will try to respect your words for 100 percent. Its all about mutual respect sharing. Make her the feel like your daughter then there is no way for the problems in the relationship. Show the love to her as you show it to your own daughter. When your relationship with her is smooth and cool then marriage life of your son will be happy and smoother. Compliments or a positive comment from an unexpected person is something very precise. It is always special for a girl to get the compliment from the new family members. So, make her feel that she is extra special and deserve to it. Make a point on this, never ever talk bad or disrespect her parents. No child bear to hear bad about their parents from a new person. So, never even throw a word bad about your daughter-in-law parents. Show her the love and care which you show to your son, then she will show the double the love to you. Spend some time with her and talk with her which she will really love it and expect from you always. If you respect her parents she will love you more than her parents. So, send your daughter-in-law to her parent’s house even if forgets. This will strengthen the relationship between you and daughter-in-law. There always a difference between the love between the mother, son relationship and husband and wife relationship. So, never try to keep both the relationship in the same place. The love shown by your son to you is different from the love towards his wife. “What does your mother taught you? You don’t even know to prepare rasam?”. This is commonly asked questions by the mothers-in-law. But, try not to ask this type of questions to your her as it will definitely make a distance between both them. At case, you can guide or teach her in cooking good food. Make your son jealous of your relationship with her wife. This kind of jealous and little cute fights is really cute and pretty in a family. This will definitely make a happy family with smiling fights. No one is perfect, same as your daughter-in-law. If she does any mistake or fault then try to teach her and correct her flaws. Keep you in the times, when you were a daughter-in-law and the problems you faced. Neither put your daughter-in-law in that odd situations. Build a healthy friendship with her. This will no way degrade your personality. It is not her mistake all times, your son might also do mistakes. Accept it and give your support to her when things go wrong. A cup of coffee can solve any problem, talk to her and find a solution to the problem. A strong relationship builds, only when the love is shared from both the end. Take steps and try to build that relationship with your daughter-in-law and lead a happy joint family. Starting a new life with unknown peoples is really difficult which you would also face in your marriage life. So, don’t put your daughter-in-law in that odd situation. Let her do mistakes and learn from that.